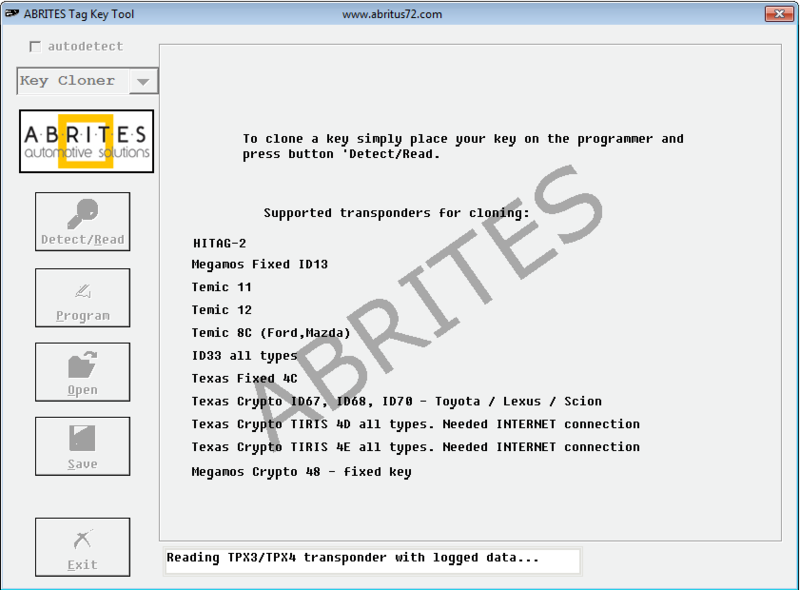 After years of struggling with various transponder programmers Abrites ltd. went ahead and created a new generation of universal transponder programmer. This programmer works with AVDI interface. 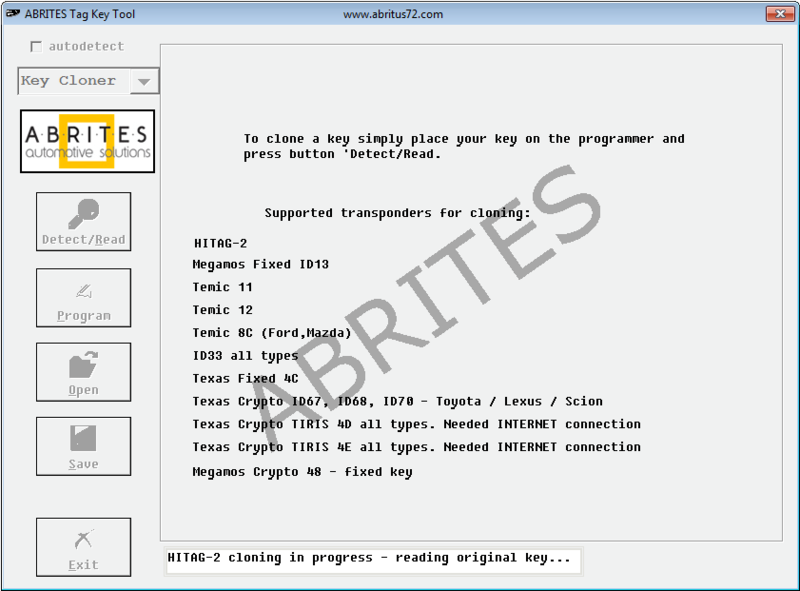 It also is compatible with our software ABRITES Diagnostics for VAG, BMW, Renault, Nissan, Mercedes, Fiat. The required key tool software is called TAG key tool software. 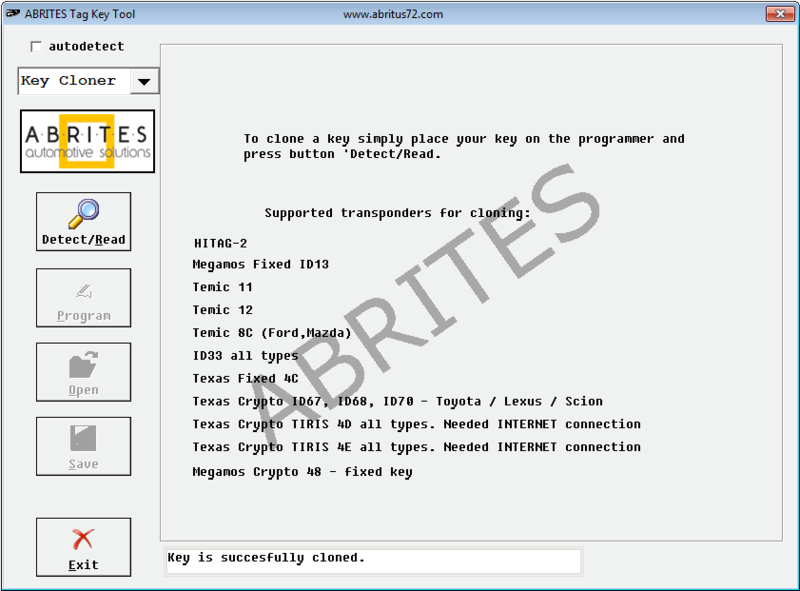 With this software you can program keys/transponders for vehicles, bikes or trucks from different brands that using Megamos 13, Megamos 48 (Megacrypt I), Megamos 8E (Megacrypt II), Texas 4C, Texas 4D, Texas 4E, Texas DST+, Texas DST-128 (H keys), Temic 11, Temic 12, Temic 8C, T5, TK5551, TK5561, Philips PIT – 7930/7931/7935, Philips HITAG2 – 7936, 7941, 7942, 7943, 7944, 7945, 7946, 7947, 7953, 7961, Hitag-Pro 7937, 7938, 7939, 7952, Hitag-Extended, JMA TPX1, TPX2, TPX3, TPX4. 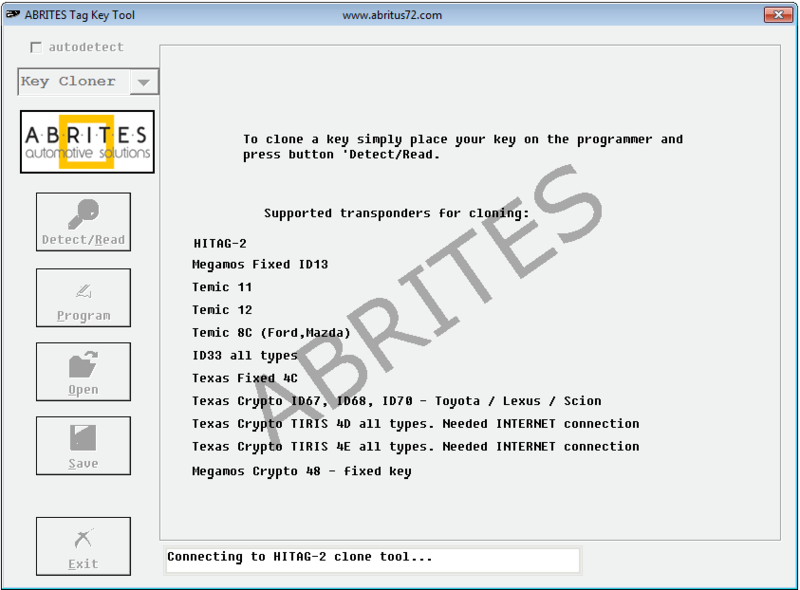 This software is compatiable with TAGPROG Programmer Lite ZN010. Just need dump from your immobilizer, put your NEW KEY (or transponder) on the programmer and generate working key! You can also produce preprogrammed transponders for a different vehicles. 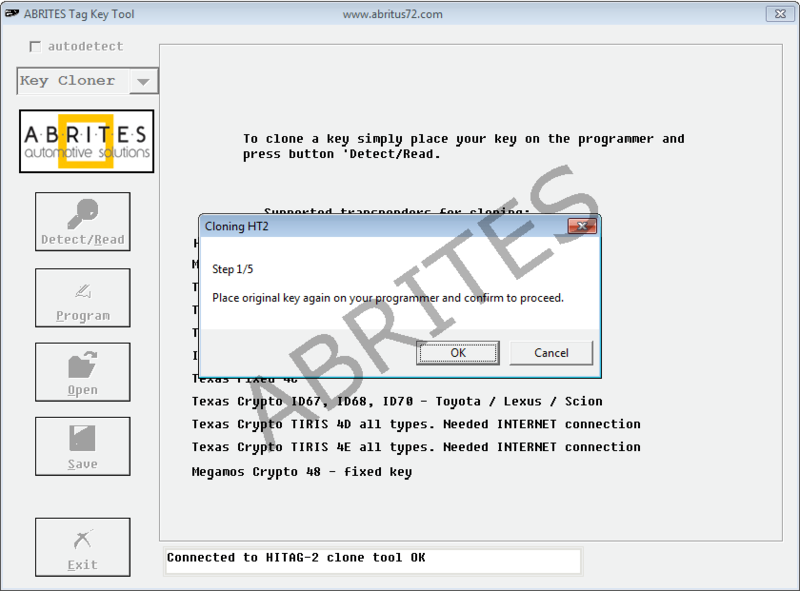 Utility for programming of key by dump of CAS4 – latest BMW Fx series, including those with MCHCS12XEP100 with mask 5M48H. Required to have license for software BN013. 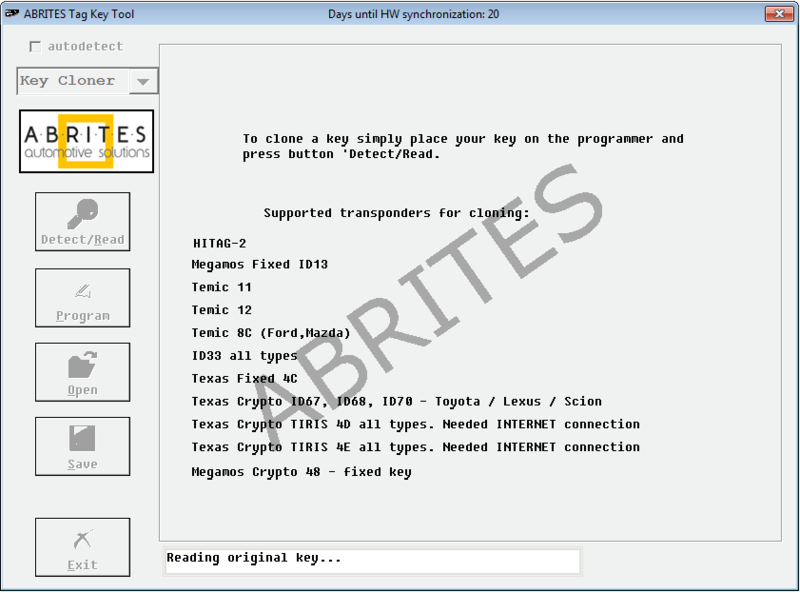 “Key Inspector” this new utility will display information from different keys (VIN, last drive, mileage,..).Required to have license for software KT011. Macan 2014+. Required to have license for software KT012.